Innovations experienced in the Rio Games, the main global event of 2016, will be analyzed. Together with the UHD-LIVE experiences with European Championship, La Liga and other live transmissions, through experts in Ultra High Definition (UHD) during the 4K-UHD Summit, to be held on 10 and 11 November in Seville. The legend Manolo Romero Canela, who for decades led the Olympic coverage to broadcasters around the world, will be the “speaker of honor” of this second edition of the 4K Summit. 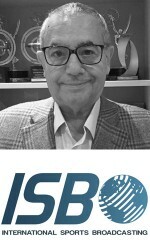 Romero, current president of International Sports Broadcasting, will be in charge of the introduction to the sessions related to innovations in 4K and 8K in the Olympics. 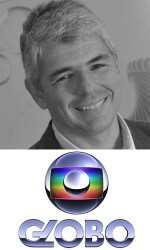 Brazilian Paulo Rabello, a chief technology of TV Globo, will share with the attendees of the 4K-UHD Summit their experience as host broadcaster of Rio-16. 4KS16 attendees will have the opportunity to see unpublished UHD content of the most important sports event of the year. With an eye on the 2020 Olympics in Tokyo, the Summit will gather 4K manufacturers, integrators, consultants and producers from more than 20 countries to share their knowledge. The experiences of Rio-16 and more will be discussed at the Round Table Debate on UHD-LIVE in which there has been already confirmed the participation of relevant international experts as Mark Horton (Ericsson), Emili Planas (Mediapro), Cristiano Benzi (Eutelsat), Klaus Weber (Grass Valley) and Gustavo Marra (Ateme). The matches of the Champions League and La Liga in 4K-UHD, the retransmission of the Holy Door of the Vatican and Euro France matches will be other international events that will be analyzed by experts in the 4K Summit of Seville.